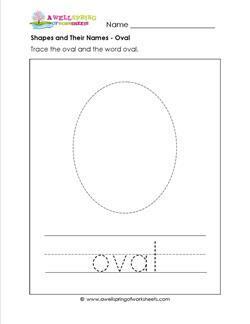 In this shapes and their names worksheet there is one very big circle for kids to trace (you can't miss it!). 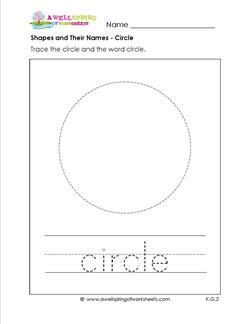 They also trace the word circle. Then the best part of all - they can color. 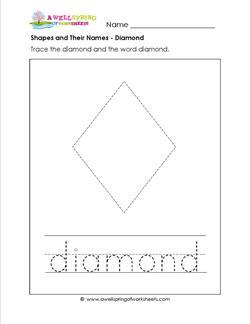 Kids practice their shapes as well as drawing straight lines in this diamond shapes and their names worksheet. They also get to trace the word diamond. This stop sign shaped octagon is bigger than life! That makes it easier to trace. Kids trace the shape and the word "octagon" in this shapes and their names worksheet. Here's a nice big oval with lines as smooth as silk. When kids get done tracing them they may not be as smooth! But that's why they get to practice with this shapes and their names page. Here's a nice big five sided pentagon just waiting to be given some love by being traced all around. Trace the word pentagon and enjoy this shapes and their names page. 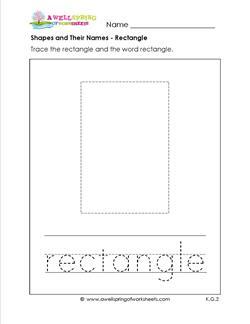 A rectangle is one of the 5 main shapes to learn in kindergarten so it's a good thing I've got a shapes and their names worksheet for it! Trace the shape and the word. Don't be square! Print a square! 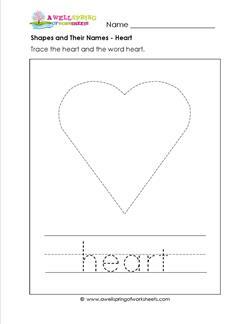 Trace it to show awesome straight line tracing abilities as well as word tracing skills. Then color this shapes and their names page just for fun. 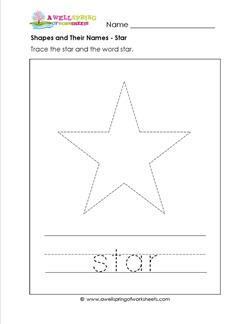 Be a bright shining star and trace this star and the word "star". This one is a bit tougher to trace than the other shapes in this shapes and their names set - its got a lot more lines. No doubt about it, it's a trapezoid! 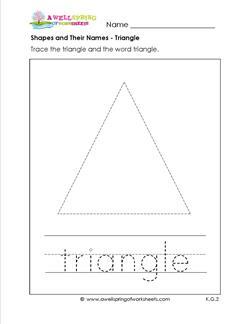 This shapes and their names page has a big trapezoid in the middle that kids trace & the shape name underneath.